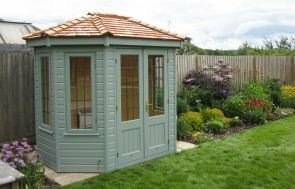 One of our wonderful Morston Summerhouses was recently installed for a customer in Didcot, Oxfordshire. The 4.2 x 4.2m building will allow them to have a year-round outdoor space where they can entertain, relax or simply just enjoy the great outdoors. The apex roof is covered with grey slate composite tiles and has white guttering to ensure full function and use throughout the changing seasons, whatever the weather. The exterior of the building is clad in shiplap FSC® certified timber and is painted in the Sage colour of our Valtti paint range, which gives it a classic and timeless look amongst the rolling fields in which it is placed. 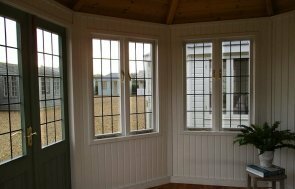 The interior of the summerhouse is fully insulated with a natural lacquer on the floor and has painted lining in ivory, meaning that the building is completely ready for use once installation is finished, making the entire process much easier and quicker for our customers. A very quick thanks to all your team for our Morston Summerhouse which was installed today - just outstanding in every way. The finishing touches to this refined building include chrome door furniture and 2 opening side windows that will carry through a welcome breeze on those balmy summer days. 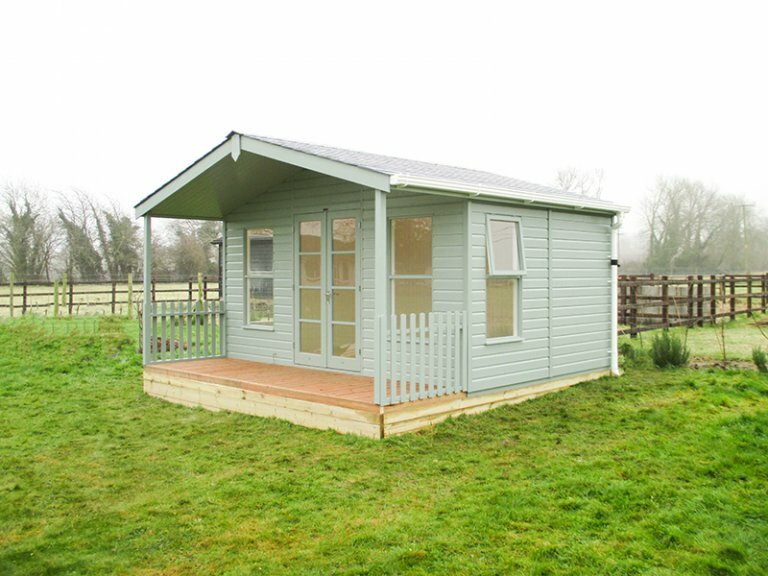 To browse our entire selection of Summerhouses, please click here. Alternatively, you can do this at one of our Show Centres or discuss your dream garden building over the phone with one of our friendly experts by getting in touch.